In August, Cedar Hill ISD opened two new STEAM (Science, Technology, Engineering, Arts and Mathematics) middle school academies. The comprehensive STEAM campuses for grades sixth through eighth are: W. S. Permenter Middle School Entrepreneurship & Design Academy and Bessie Coleman Middle School Environmental Science & Engineering Academy. Both of the academies focus on project-based learning. All seventh grade students enrolled in the academy at Permenter were assigned a semester-long project. The project included all areas of study as Permenter Academy students took on the persona of a homeless person. The students were asked to journal their lives. This was accomplished through writing assignments, and also using math skills to create and manage life events on a small-family budget. They also learned graphic design to create a magazine. Students Byron Dean and Sierra Googe say their top lessons from the project can not be found in traditional school books. 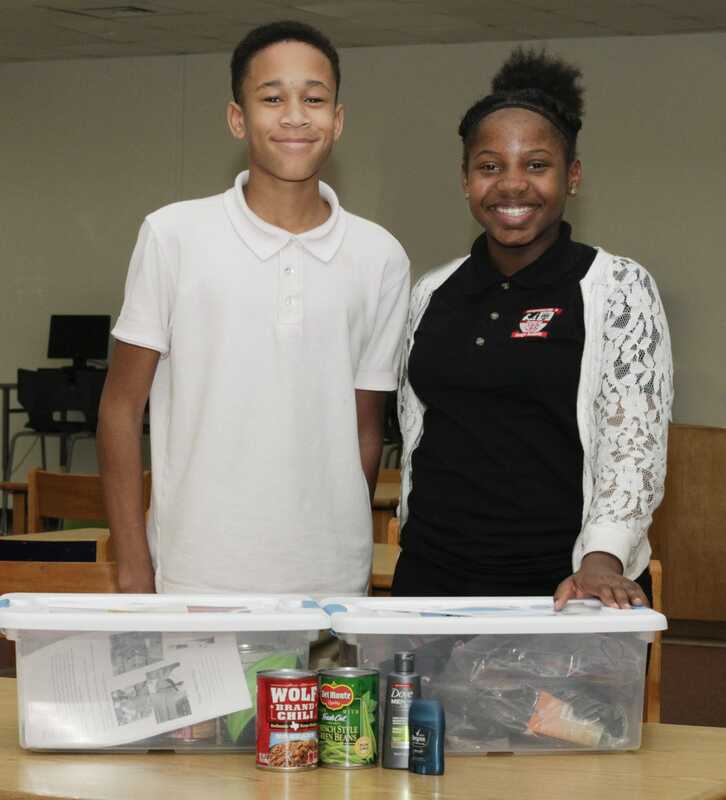 The students have also been busy collecting school supplies, food and hygiene items which they plan to distribute to the homeless. Cedar Hill ISD received a $6.3M grant for the GEAR UP Program, which provides college and career readiness support to students. For the next seven years, Cedar Hill ISD middle school students who are now in the sixth and seventh grade will be able to participate in the program. Bessie Coleman Middle School Principal Ves Tetteron and Permenter Middle School Principal Tonya Haddox, along with students and parents from their schools, attended the awards presentation in November. Approximately 1,300 CHISD students are expected to have an opportunity to benefit from the program over the next seven years.